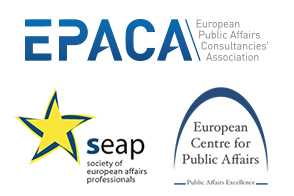 Brussels, 20 January 2017 – Yesterday, the European Public Affairs Consultancies’ Association (EPACA), the Society of European Affairs Professionals (SEAP) and The European Centre for Public Affairs (the ECPA) hosted a joint event – The Lobbyist of the Future. With Lies Craeynest, Policy Advisor, Oxfam, Renatte Georgescu, European External Affairs at Unilever and Vice-President at SEAP and Karen Massin, CEO Brussels at Burson-Marsteller and Board Member at EPACA, and a group of headhunters the debate centred on the future of lobbying in an evolving environment. The discussion focused on ways in which the industry is responding. For example, the talent pool being drawn from is broadening and now includes not just those with a relevant academic background, but those with a more diverse skill set. Alongside this, lobbyists are also becoming increasingly aware of the broader environment in which their clients, members or employers operate, and can no-longer be bound to simply focusing on policy and legislative developments.